Today, a quick post for a good tips! Working with Adobe AIR, I enjoy the simple way to sign an IPA: someone provide you the p12 certificate, its password and the mobile provisioning files and you’re ready to go! If you put them on a Dropbox you have a nice combo for a whole team. But, if you must compile your IPA in Xcode like (all?) the other technologies, it isn’t as easy as just linking via a file browser. If you’re in a team, you just have to sign in with your login in Xcode preferences or you could import the developer profile from an other dev (yeah the easy and dirty way). But how signing an IPA if we just have the raw files? Import the p12 in your keychain and the mobile provisioning. Then launch Xcode. Go to your project, and check signing identity. Specify the p12 in the code signing identity and the mobile provision in provisioning profile. Be sure to also do it for the target wanted. Then make the archive via Xcode menu. If it asked you some authorizations for codesign you’re on the good way! Export, save for iOS App Store Deployement. It will ask you the team, and obviously you’re not in the team so you can’t select it. Specify local signing assets at the bottom list, and if everything is setup correctly, you will have your IPA. Back from vacations in Québec (lovely country & people), it’s time for a quick blog post for sharing a good trick! On iOS when you want to share a build with others, you mostly use a third party service (like TestFlight), or you provide the IPA and they have to install it via iTunes or even better iFunbox. Unlike Android (with an APK file), on iOS we’re not able to install an app directly from its binary (IPA). Unless you point your URL to a plist file! 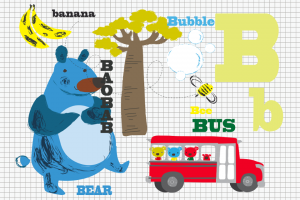 I’m glad to present a new application I’ve developed: Monsieur Bear’s ABC. Available for iOS and Android. A funny animated alphabet book designed by the talented Virgo! Virginie Aracil aka Virgo is back in the app world for a new adventure! Now, she comes with an alphabet book, Monsieur Bear’s ABC! This cute little bear will help your child discover the letters, the sounds and words in an original and acidulous universe. With hilarious animations, cartoon sound effets and a French Touch style, this application will give hours of fun to your child! – An alphabet book completely animated ! – Discover Monsieur Bear, the bear made by Virgo ! – Original animations and fun sound effets ! – Available in French and English ! Like Sophie la Girafe, Monsieur Bear’s ABC is built using AS3/AIR technology with the Citrus Engine framework on top of the display list. I won’t explain the choice of the display list and the gpu mode, it’s well described in Sophie la girafe’s article (here we have the same problematic). However behind this catchy title, it reveals a strong reality: no one think we’re able to run correctly swf on mobile. Please have a look on this thread on Starling‘s forum. I know it’s Starling forum, it’s normal that everyone recommend the Starling’s way. But common’ guys, if you tried this app how the hell would you be able to make it running with Starling? The DragonBones framework, would be a way… but it won’t correspond to many animations, and it will be so long to do all the animations for it! Using directly SWF format, I was able to rescale everything to the perfect screen dimensions and it’s priceless! Also the final weight for all the animations is 7Mo. This is just impossible to achieve using the spritesheet way. It’s very a common way to make vectors animation with Flash Pro. For example Tiny Thief is a beautiful game using vector graphics (that’s very easy to rescale everything!!). However they used Scaleform technology to export on mobile, and not Adobe AIR. That was a very simple example. Using this method you’re able to inject code to a specific frame of a MovieClip. And it won’t cause any problem to be unloaded and reloaded! Obviously it is a bit harder to manage because the code isn’t directly in the swf, and so if you change your animations don’t forget to change the addFrameScript code too. But if your code is well organized, it shouldn’t be a big deal! – on a website for all the computers. – on Google Play for Android. – on the App Store for iOS. That’s a very convenient way to share a link, isn’t it? There is also a powerful feature, if you open it on your mobile and you already have the application installed, it will open it! Don’t wait anymore, give a try to rdrct.it too!